In November, Oakland voters will decide whether to establish a new civilian-run police commission that would take over the job of disciplining police officers from the city administrator. But the ballot measure would also do something else — significantly expand the power of Oakland's mayor. 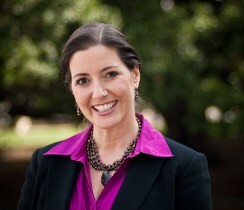 Under Oakland's current charter, the mayor's main source of power is the ability to hire and fire the city administrator, and because the city administrator is Oakland's true boss, with the power to fire department heads, shape policy, and direct city staff, the mayor has implicit authority and can steer the city's bureaucracy. The police commission charter amendment, if approved by voters, would further expand the mayor's power in two significant ways. First, the mayor would get to make three direct appointments to the police commission's seven-person board. Second, the mayor would be given the power to unilaterally fire the police chief. Right now the mayor can't fire anyone except the city administrator. At last night's Oakland City Council meeting, these new powers became the center of a ferocious debate. Dozens of angry members of the public spoke during public comment, telling the council that giving the mayor three appointments to the police commission would make it susceptible to political influence. Many argued that all seven commissioners should be nominated by a selection panel composed of Oakland residents, not politicians. 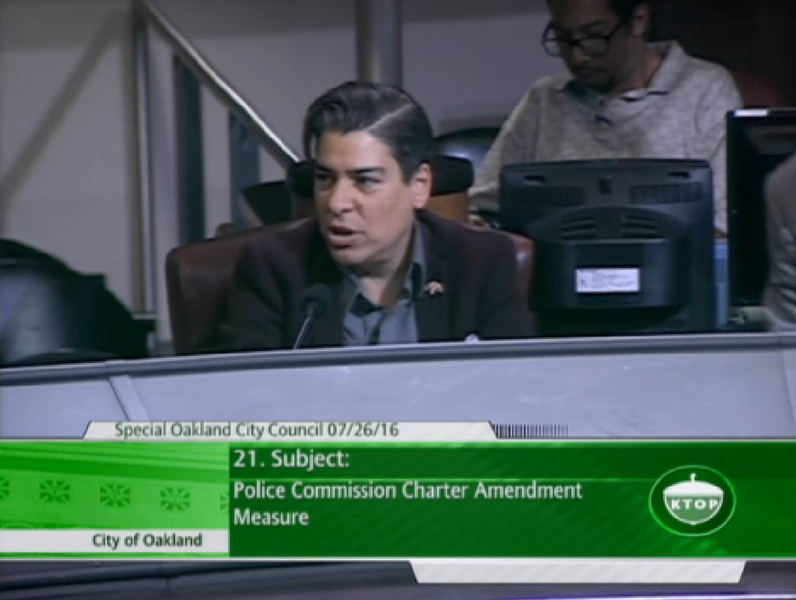 "We do not trust the mayor to make these appointments," said Cat Brooks, an Oakland resident and member of the Anti Police-Terror Project. "Up to today I received many calls from people asking that the commission be entirely independent of politics and asking that all the appointments be made by the citizen group and none be made by politicians," Councilmember Rebecca Kaplan said during the meeting. Oakland Mayor Libby Schaaf did not attend last night's council meeting to explain her position that the power of the mayor's office should be expanded. But Schaaf has previously argued that her office is accountable to the public, and giving the mayor's office three appointments helps maintain a balance of power. "The proposal balances independence and accountability," Schaaf said in a written statement email to the Express on Monday. "The Mayor is the most directly accountable official to the people." But some speakers at last night's council meeting weren't buying this logic, and they convinced councilmembers Desley Brooks and Rebecca Kaplan to undertake a last-ditch effort to remove the direct mayoral appointments from the ballot measure. The rest of the council, however, refused to vote on Brooks and Kaplan's amendment, siding instead with the mayor. Brooks said the rest of the council's actions showed that they are "carrying water" for Mayor Schaaf. But Kalb defended the measure's division of powers. "This will be the only police commission that I know of in the country that has less than a majority of its commissioners appointed by the chief executive," Kalb said. A few public speakers voiced support for giving the mayor more power to oversee the police department. “The mayor should be accountable for the police department based on her appointments,” said former Oakland City Councilmember Danny Wan. He added that if the commission failed to hold officers accountable, the failure would be the mayor's fault. If approved by voters in November, the police commission measure would further consolidate Oakland's division of powers under the so-called "strong mayor" for of government. Back in 1998, Jerry Brown succeeded in selling "strong mayor" reforms to Oakland voters. When voters approved Measure X that year, Brown, who was mayor at the time, wrested control of the city administrator's office away from the council. Having the ability to hire, fire, and direct the city manager allowed Brown to run Oakland in a more aggressive way. Under Brown's administration, the transformation of Oakland began with the 10K Plan, which added thousands of apartments and condos around the downtown and Jack London District. Brown also presided over Oakland during the Riders scandal when a unit of Oakland cops were accused of systematically profiling Black residents, brutal beatings, planting evidence, and other constitutional rights violations.